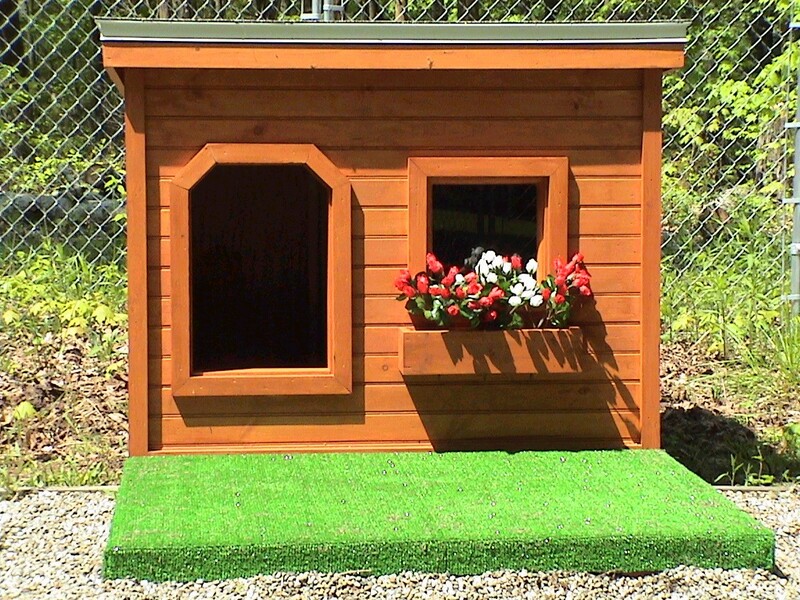 Please note: If you use PayPal you will be able to immediately download the Dog House Plans. Please ensure that you click on the appropriate size and model you wish to order, as this will be the only set you will be able to download. 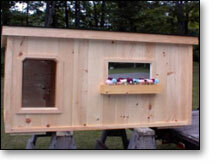 Customers have the option of receiving their dog house plans in three different ways. 1. 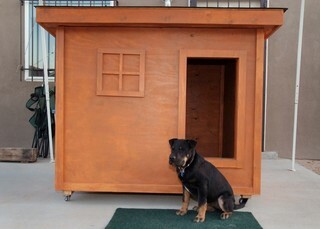 On our order form, if you use the "Buy Now" button via paypal your dog house plan can be immediately downloaded. 2. 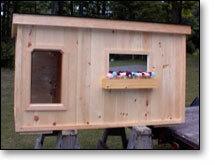 You can have your dog house plan emailed, once payment has been received. 3. 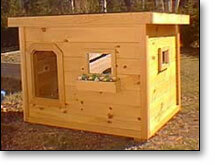 You can have your dog house plan sent out via regular mail the day after payment is received. 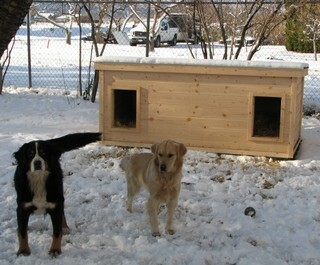 The downloaded dog house plans, emailed dog house plans, or hard copy version of the dog house plans are all identical. They are all on 8-1/2" x 11" paper and can be easily printed from your own printer. 1. Visa or Mastercard through Paypal's secure server. 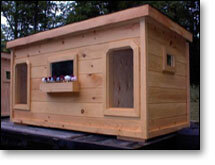 Click on the houses above to select the size you wish to order in that category. The categories are then also listed at the very top of each page, should you wish to select a different category at that time, just click on the category you wish to view. If payment is to be made through paypal using their secure server, you will be able to download the plans immediately, once payment has been made. Please ensure that you select the correct model and size that you want. 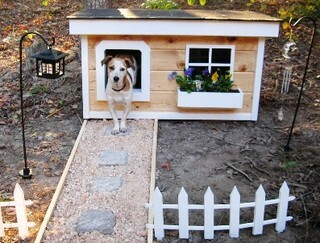 It is very important that you have the proper sized house for your dog. 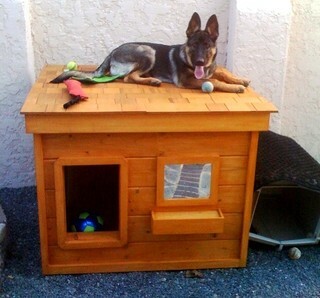 To accomplish this, you have to measure your dog. 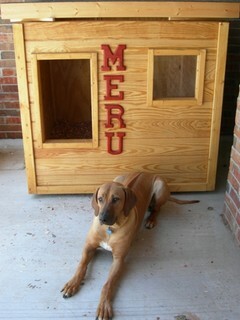 You take the measurement from the ground to the top of the front shoulder when the dog is standing. 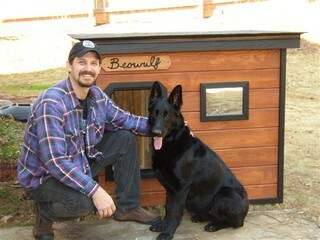 This is the size of plans that you would order for your dog. 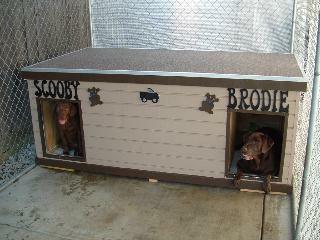 If your dog is puppy you can see the different kinds of dogs listed with each set of plans. 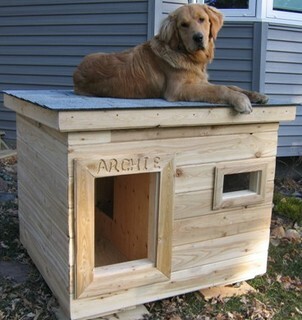 You can order the plans that are designed for that type of dog.